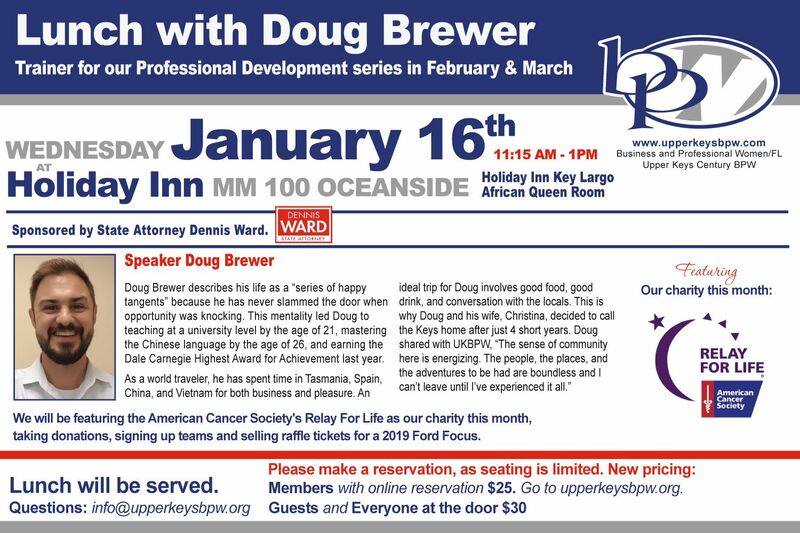 Our speaker is Douglas Brewer who will also be our trainer for the February 2 and March 16 Professional Development Series. We are looking forward to this kickoff to the sessions! Thanks to State Attorney Dennis Ward for sponsoring this month's luncheon!